It's hard to imagine this story as being part of our past, but in 1942, an eleven-year-old Australian boy, Richard Manson, and his parents either side of him, were shot by the Japanese for suspected spying in Rabaul in Papua New Guinea. Acclaimed 4th Estate author and award-winning science journalist Ian Townsend has uncovered a fascinating story of WWII, little known to most Australians. Centring on the hotspot (in every sense) that was Rabaul in WWII, his account is an intriguing narrative, which weaves together Australian history, military conflict and science - with volcanology being the peculiar science which drew the Americans, Japanese and Australians together in conflict in the Pacific in the 1940s - and the story of one ordinary but doomed Australian family. 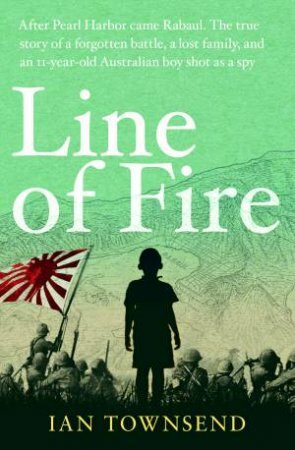 Like The Hare with Amber Eyes, this is a fascinating work of narrative non-fiction, a story of spies, volcanoes, history, conflict and war, set against the romantic, dramatic and ultimately tragic backdrop of Rabaul in WWII.